Here are some more photos that have been sent to me. Keep them coming. Especially the old ones. Firstly a few from Max. A PBT Volvo kicks up spray on a gloomy day. I've seen this Mercedes Benz Actros of Dominator Garage Doors many times, but have never managed to get a snap...Thanks Max. An Owens Isuzu pulls a trailer with a Mainfreight curtain. As I have mentioned before, Owens is owned by the Mainfreight Group. A new Kenworth with a big load of fuel. 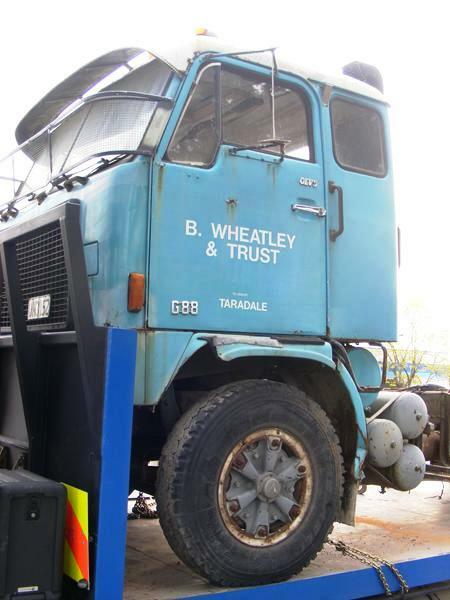 A fairly plain livery for W.H.Allen of Lower Hutt, but still a distinctive colour on this Hino. I don't recognize the livery of this Kenworth Aerodyne. 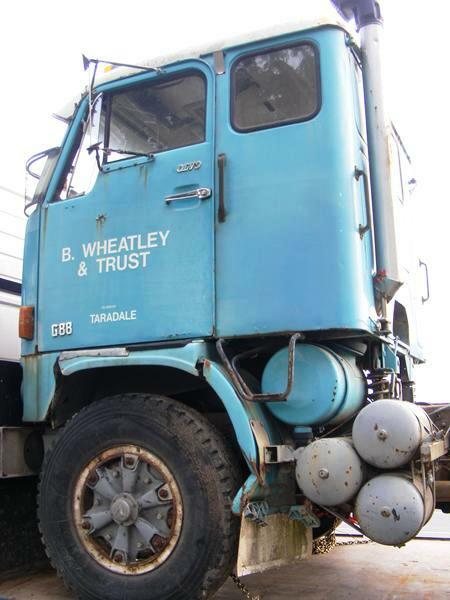 Blackley's of Palmerston North was originally called Blackley Contractors, but has expanded in to three companies. This Fuso belonging to Blackley Construction, their operational division. This Freightliner Argosy appears to be a long way from home. 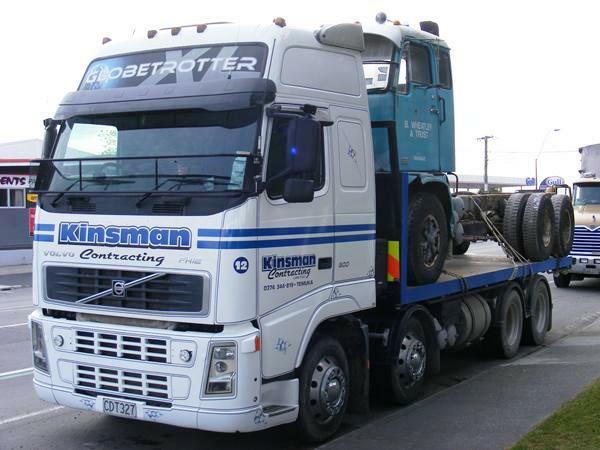 As far as I am aware, Kapuka Transport is part of the Richardson Group and is based in the Invercargill area at the very bottom of the South Island. I'm not sure what it would be carrying this far from home with an insulation blanket on the front tank. An Auto Movements Isuzu carries a mixture of brands. Auto Despatch's Western Star also carries a mixture, but at least 3 Toyotas on there. Higgins Contractors now has branches in many locations as well as taking over other businesses. A Mack heads out to retrieve a digger, roller or grader to be moved from one road construction site to another. I've had so many photos from Max I'm losing track of some of his e-mails, but I think he told me he suspected these old style tankers would be carrying whey or was it tallow?. A Mitsubishi from before the time when NZ market models started wearing the Fuso name. 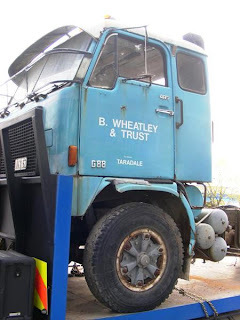 An ex Mainfreight Scania P113M tractor unit now having been converted into a short wheel base tanker. 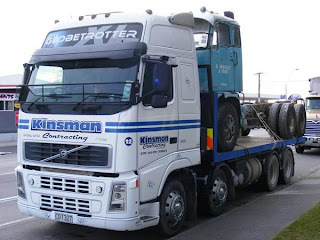 Matt (I think, he didn't sign his name) sent me these pictures of an old G88 Volvo being carried away on the back of a modern FH Volvo. I sure hope it is heading somewhere to be restored. I always liked these old Volvos. Their slab sides, flat, split windscreen and forward set axle looked more American than European.